Have we really had winter this year? It seems like spring has been around since fall. Mid February is the normal start of early spring here in Pinellas County, but it might be too late for some of the landscape tasks that should be done in February. Summer weeds start from seed in the early spring, grow, flower, and re-seed all in one season. These weeds will sprout soon after night temperatures rise above 70 degrees and we have been flirting with this temperature nearly all winter. Apply a pre-emergent herbicide the beginning of February to help prevent these seeds from sprouting. 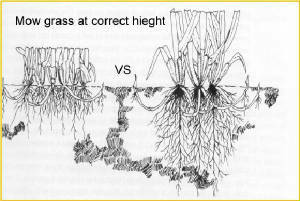 There are many pre-emergent herbicides available and some are appropriate only on a particular type of grass. Check the label on products carefully to find the one labeled safe on your type of lawn. I usually do not recommend standard "Weed & Feed" fertilizers since mid-February is normally too early to fertilize lawns. However, lawns seem to be actively growing this year so it could be appropriate to fertilize in February this year. Always read and follow the label directions. Many of us do not have room for a full fledged vegetable garden. Even if we did, here in the Woodlands we still have to contend with deer, raccoons, rabbits and armadillos. If you have a screened enclosure you can grow a nice variety of vegetables in containers without these pests. Vegetables require at least 6 to 8 hours of full sun, especially those producing fruit like tomatoes and peppers. Lettuce and other greens can withstand a little shade. Some vegetable choices for containers are tomatoes, peppers, broccoli, eggplant, all kinds of lettuce and greens, peas and beans (might need a trellis). Plants like squash and cucumbers need pollinators that are not present inside the enclosure to produce fruit. Many containers are suitable for growing vegetables. They should be large enough to hold the mature plant. 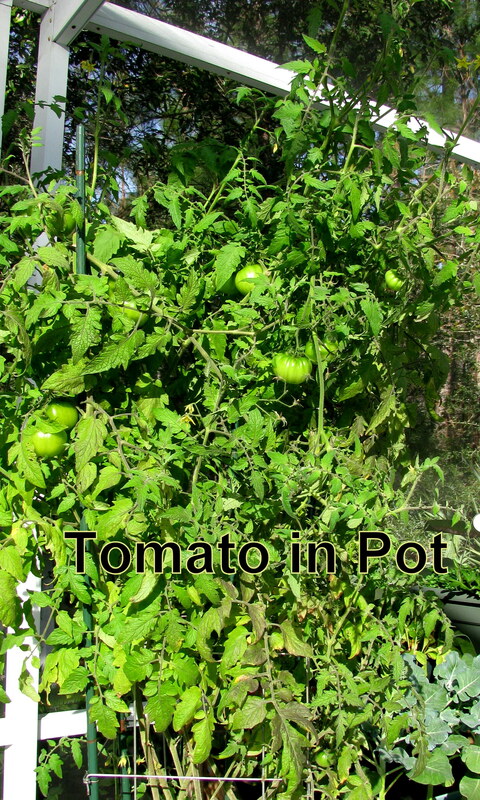 A five gallon planter holds one tomato, pepper, or eggplant. Also consider window boxes or "grow boxes" that are specifically designed for vegetable gardening. Remember, holes in the bottom for drainage are important for any container you choose. Fill your containers with commercial vegetable potting soil and add about one third compost to the mix. It is best not to use soil from your yard since this can add weed seeds, diseases, nematodes and harmful insects. Gardening in Florida is different, so the University of Florida is the best source for information. Access these two publications on the Internet; "Minigardening (Gardening in Containers)" at http://edis.ifas.ufl.edu/VH032 and the "Florida Vegetable Gardening Guide" at: http://edis.ifas.ufl.edu/vh021. Vegetable Gardening in Florida by James Stephens is the best book to purchase for gardening information. It is a great resource that also contains excellent pictures of insect pests and diseases of vegetables. The warm winter will probably mean that insect pests will show up early this year. I was potting some plants in my back yard in mid-January and there were mosquitoes out already! If you do not have a landscape pest control contract, you should start scouting the landscape weekly for damaging insect pests now. It is much easier to control pests if you catch them early before they become heavily established. 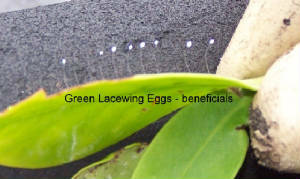 And, you will want to learn to identify the beneficial insects that help control the damaging pests. You can access "Landscape Integrated Pest Management" on the Internet at: http://edis.ifas.ufl.edu/pdffiles/IN/IN10900.pdf for helpful information about identifying and controlling damaging pests. If you have hedge plants that need to be pruned to reduce their size, now is the time to do it. Most woody shrubs can be reduced by one third to one half in early spring. They will look a little bare for a couple of weeks, but will then quickly send out numerous new sprouts. Remember to keep the top of hedge plants slightly narrower than the bottom to keep the hedge full of leaves all the way to the bottom.